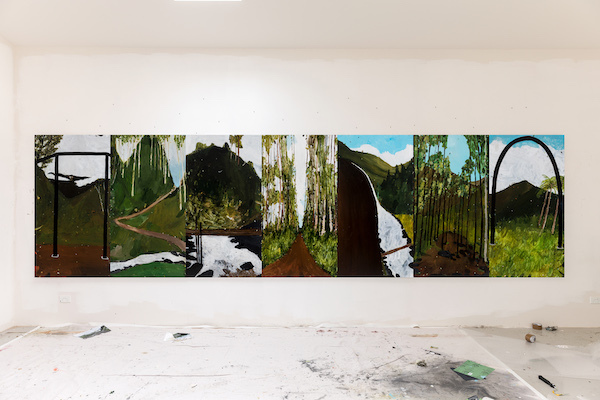 Richard Lewer, ‘Seven days to Kokoda’, 2018. Acrylic on canvas, 153 x 570.5cm. Courtesy: the artist and Sullivan+Strumpf Sydney.